Please also check out the amazing story and photos of the Bisutun Inscription – the Iranian Rosetta Stone, that was vandalized by Allied soldiers during the Anglo-Russian invasion of Iran. This entry was posted in History, Landscape and tagged Bisutun, England, Iran, Kermanshah Province, Landscape, Photos, Russia, Snow, Winter on March 10, 2015 by socialinform. Iran’s President Hassan Rouhani has opened an exhibition at the National Museum of Iran showcasing hundreds of ancient Iranian artifacts returned to the country from Belgium after decades of legal battles. The antique collection was returned to Iran on Thursday Dec. 24. This came after an appeals court in Belgium’s eastern city of Liège ruled in September 2014 that the country’s authorities restitute 349 smuggled artifacts to Iran. The legal process has lasted 33 years. Praising the efforts made by the Iranian legal team in returning the valuble antiques, Rouhani said the move showed the resolve of the government in “safeguarding the rights of the Iranian nation.” He noted that such cultural exhibitions can help “defuse Iranophobia” in the world. The stolen artifacts comprising of 221 clay and 128 bronze antiques had been discovered in Khorvin, Savojbolagh County, Alborz Province, 80 kilometers (49 miles) northeast of the Iranian capital and date back to the end of the second millennium and the first millennium BC and are some 3000 years old. In 1965, a French woman who had acquired an Iranian nationality due to her marriage to an Iranian professor and had been living in Iran for some 18 years, with the help of a Belgian diplomat began to gradually transfer to Belgium the collection. After the Iranian government was informed of the existence of this antique collection in a Museum in Ghent, Belgium, it filed a lawsuit in the Belgian courts in 1981 and made the claims that these artifacts had been illegally transferred out of the country, belonged to Iran, and as such must be returned home. Following Iran’s demand in 1981, a Brussels court ordered the seizure of the pieces and their preservation at the Museum of Brussels University, pending a final verdict. The court of first instance ruled out Iran’s claims as the rightful owner in 1998 and again in 2012 the claims were rejected due to pass of time. Iran made an appeal to the Belgian court and finally in September 2014, the court of Appeals established Iran’s ownership of Khorvin’s collection of antique artifacts and ruled that they be returned to Iran. Iranian officials have filed several other lawsuits in courts in Britain, France, Turkey, and Pakistan for the return of smuggled artifacts over the past years. This entry was posted in Culture, History, People & Society and tagged Culture, Photos, Tehran on January 21, 2015 by socialinform. Earlier this week, authorities in Tehran unveiled a monument to slain Iranian Jewish soldiers who died during the country’s long and bitter war with Iraq between 1980 and 1988. Death tolls for the hideous conflict differ, but casualty counts usually reach more than 1 million for both countries. A public ceremony marked the memorial’s opening on Monday, with speeches that took place at a dais flanked by the Iranian flag and a menorah. Banners showed the images of fallen soldiers, hailed as “martyrs” in Farsi and Hebrew inscriptions. After Israel, Iran has the Middle East’s second-largest community of Jews — with its current population estimated between 20,000 and 30,000. “We are not tenants in this country. We are Iranians, and we have been for 30 centuries,” Ciamak Morsadegh, the Iranian Jewish parliamentarian, told Washington Post reporter Rezaian last year. This entry was posted in History, Minorities, Religion and tagged Jews, Minorities, Photos, Tehran on December 19, 2014 by socialinform. 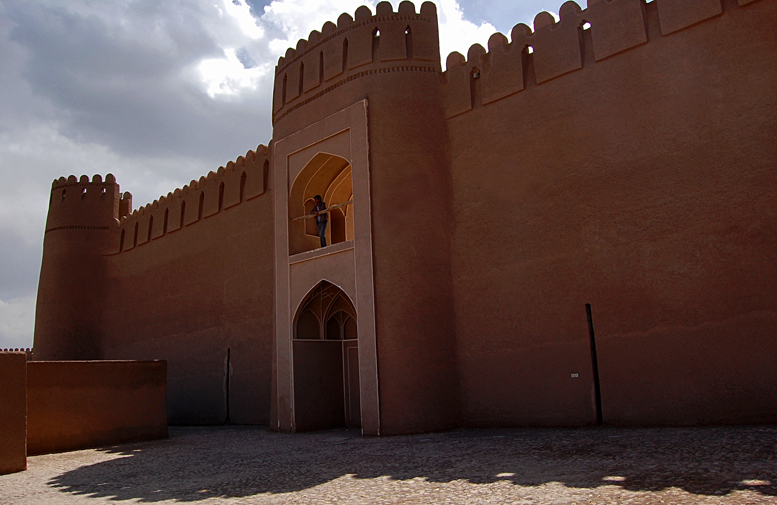 Rayen Castle (in Persian Arg-e Rayen) is an adobe castle in Kerman Province, Iran. The medieval mudbrick city of Rayen is similar to the Arg-e Bam city which was destroyed in an earthquake in December 2003. Rayen displays all the architectural elements of a deserted citadel. It is extremely well preserved, despite numerous natural disasters that have destroyed similar structures nearby, and it is one of the most interesting sites in Iran. Rayen Castle was inhabited until 150 years ago and, although believed to be at least 1,000 years old, may in fact have foundations from the pre-Islamic Sassanid era. This entry was posted in Architecture, Culture, environment & climate, History, Landscape, Travel and tagged Architecture, Kerman Province, Photos, Travel on October 12, 2014 by socialinform. 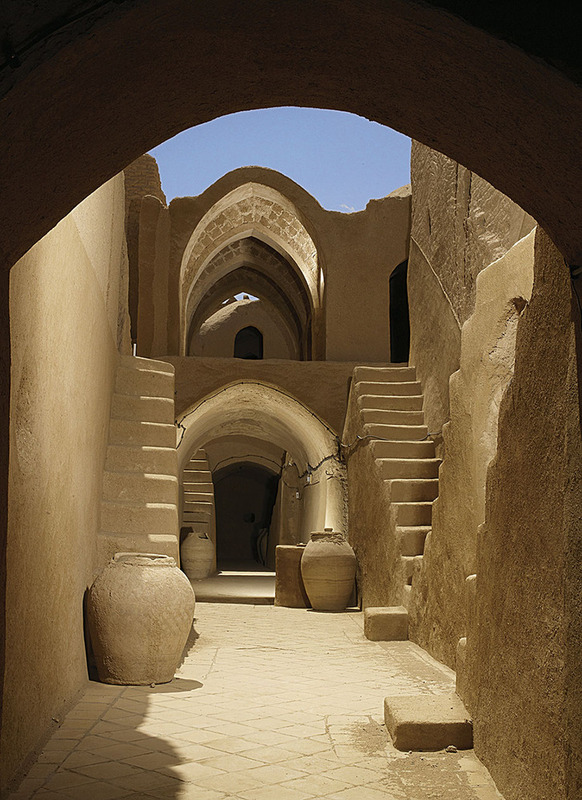 The grand prize for the 2014 UNESCO Asia-Pacific Cultural Heritage went to Sar Yazd Castle in Yazd, Iran. In June 2014, a panel of judges composed of international experts in conservation and restoration evaluated 46 projects from countries in the Asia-Pacific Region. 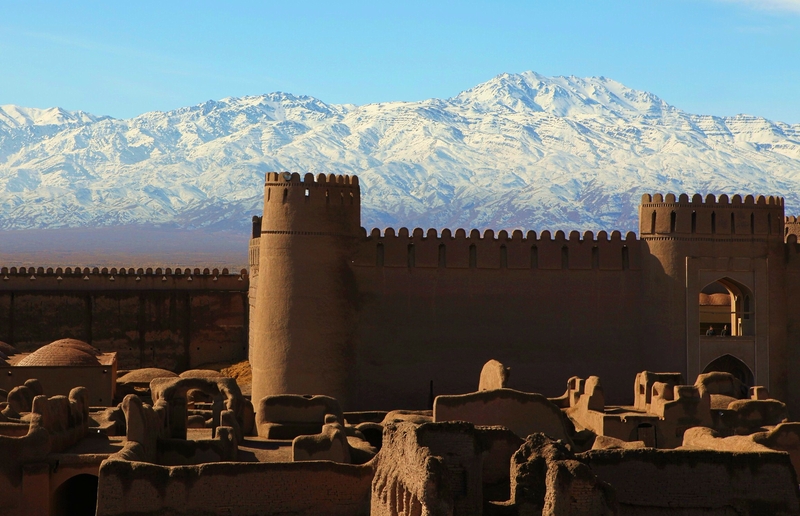 Among the projects, Sar Yazd Citadel restoration project from Iran managed to receive the grand prize. The grand prize was awarded to Iran due to the role of private institutions in preserving this historical location which has consequently influenced the socio-economic status of the locals in regard to creating job opportunities. Sar Yazd is situated 30km south of Yazd province. Some speculate that the castle belongs to the Sassanid era. Conserved and restored sites with more than 50 years of age which have been finished within last 10 years and have been open to visitors for at least a year have been considered eligible for this contest. The 2014 and 2015 contests are held with the financial support from Beijing Sino-Ocean Charity Foundation. Call for participation in the 2015 UNESCO Asia-Pacific Heritage Conservation contest will be announced in October 2014 via the contest’s website. This entry was posted in Architecture, Culture, History and tagged Awards, Photos, Travel on September 16, 2014 by socialinform.